In my "What I'm Still Playing" series, I'll be looking at games that have held my attention far longer than most. For the most part, these will probably be games I previously ryviewed and decided to keep playing, long after it was necessary or even possibly intelligent to do so. I did not play the first Portal until very long after it had come out. I liked it, and I loved the concept, but I wasn't won over. I recently bought Portal 2 because it was on sale in the Xbox Marketplace and it was a great option for Co-op. Now, after completing the single player campaign and now playing the extra DLC levels in the co-op campaign, I still have a tremendous desire to keep going. I honestly kind of want to just play through the whole single player campaign again! Usually a puzzle game like this would not have much staying power. The puzzles are obviously the same, so the bulk of the game would be identical with no differences or changes. But Portal 2 does a masterful job of keeping you entertained with the colorful commentary by the AIs and/or intercom system. 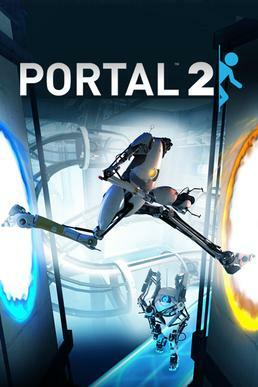 And with the free "Peer Review" DLC, both single player and co-op have a new challenge mode where you can replay levels while trying to shoot the minimum number of portals, and with or without an official mode the player could always try to complete levels without dying or in a smaller amount of time. And quite frankly, even though I might not actually replay the full campaign in Portal 2, I'm strongly considering playing Portal: Still Alive, the Xbox 360 standalone version of Portal that includes bonus levels. Valve did a fantastic job of giving this game a lasting enjoyment factor, and I can practically guarantee that if/when Portal 3 comes out, I'll be pre-ordering it. I haven't actually ryviewed this yet (spoiler: I like it) but I wanted to bring it up because I am currently playing it, having recently restarted after a lull. I had played the first 2 games in the series during college, and I bought 3 when it first came out. Then I put it away for awhile. But the fantastic thing about Creeper World is that you can put it down and then pick it up a year later right where you left off. Obviously there might be some loss in strategic memory, but the game allows you to pause and consider your strategy, so there's a nice buffer between you and the need for clutch strategy. 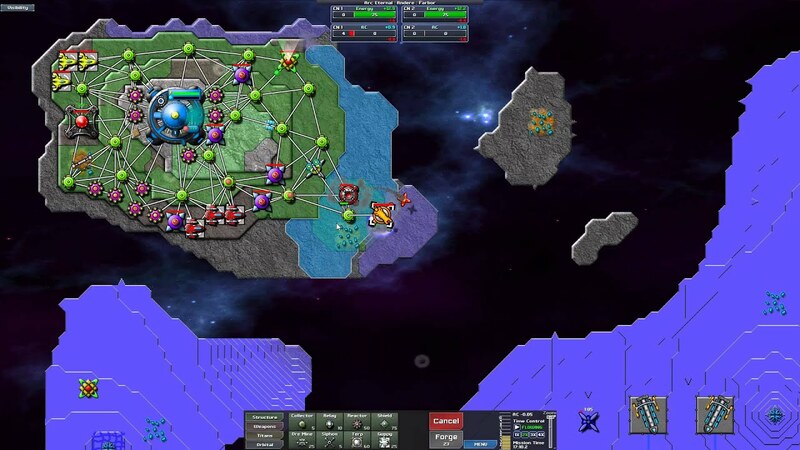 For those of you who aren't familiar with this franchise, it's an amazing strategy game that built around this blueish/purpleish goo stuff that destroys everything. It's kind of a mixture between tower defense and RTS, very fun. Creeper World 3 does a great job of having a robust campaign, then having a million (exaggerating, but there are literally thousands) of additional levels already available for you after you finish that section of the campaign. And like the previous titles, there's a great map editor function that lets you play other user created levels, basically giving the game endless replay value. With the ability to now alter the elevation of terrain, there's a Minecraft-ian level of world altering you can do, designing huge fortresses and moats. That's why I'm still drawn to it at the end of the day. This app has done a really good job with post campaign content. Not only is it a free game with a robust campaign, but there's also a whole bunch of "challenge" levels in a cave system after the end, which all have really tough bad guys and high rewards. And I'm still playing it, although I'm getting more and more frustrated with the social and freemium aspects of it. You're able to level up your headgear, but each upgrade is pretty expensive and highest level uses premium currency (which you earn through playing as well, but it would take about 75 days of checking in before you get that much, even with facebook linking). That's frustrating. Also, the challenge cave forces you to use a friend's bird (or your choice of 3 pig companions). You could also use premium currency for it, but that would definitely drain those stores fast. So, while I dislike that feature, I do have one friend playing the game so I'm able to use her bird, but I can only use it every 12 hours. Honestly, though, I'm still playing, so I must be enjoying myself on some level. And I still like the character design and the visuals, I still like leveling up (although it's slowed to a snails pace). I guess the moral is that it's a great game, but the deeper into you get the more pressure you have to buy the premium currency. Let me know what games you're still playing!